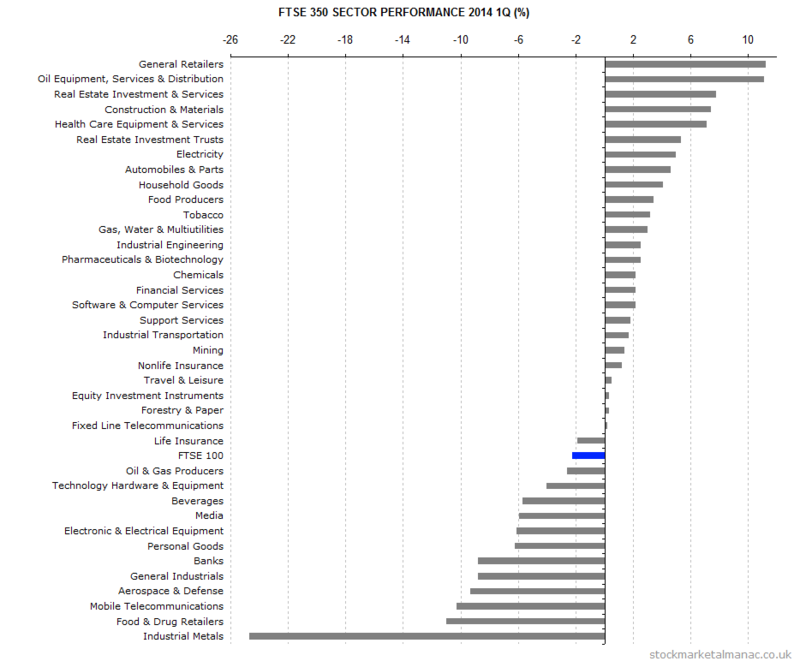 The following chart shows the performance of the FTSE 350 stock sectors in the first quarter 2014. 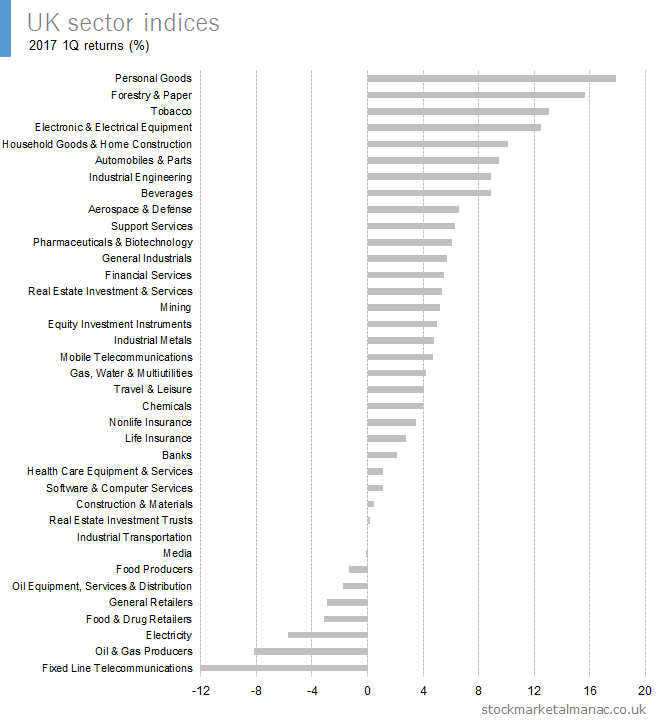 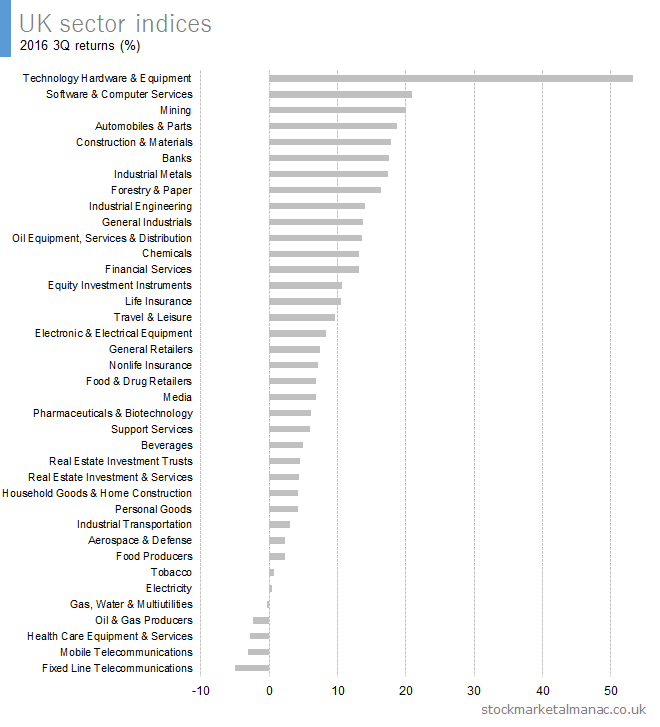 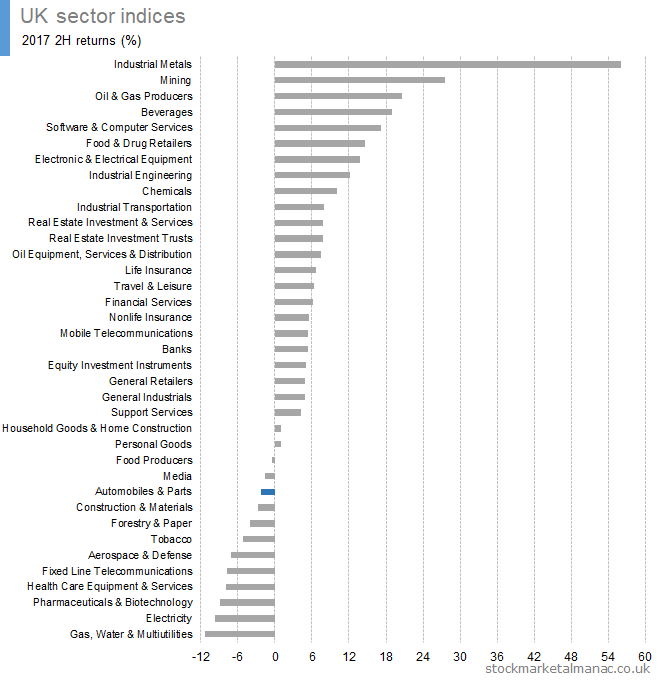 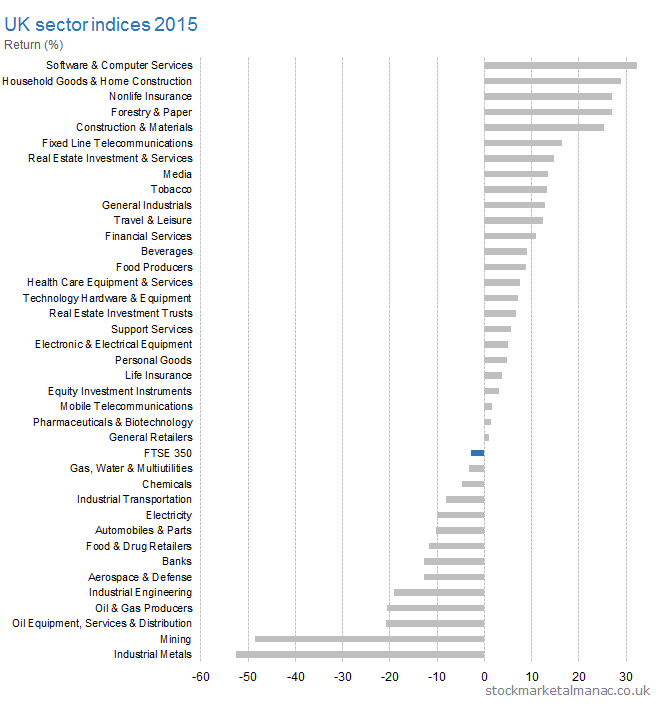 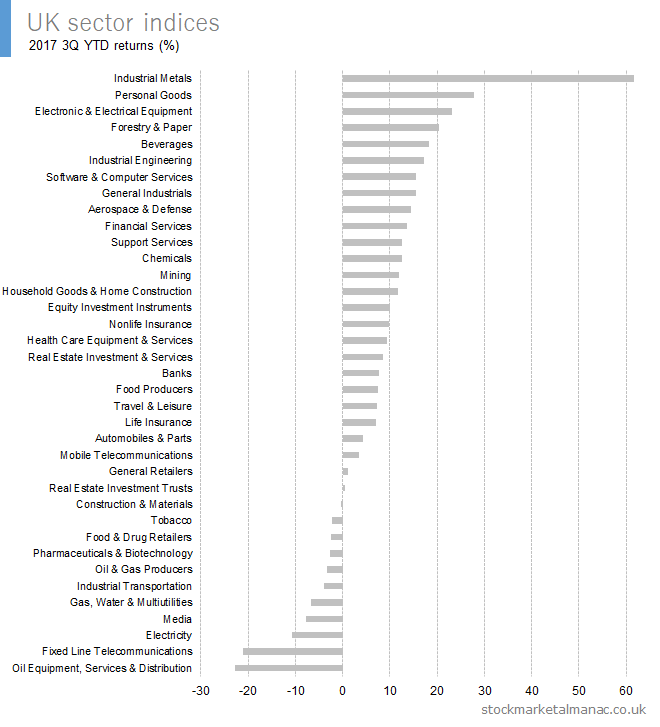 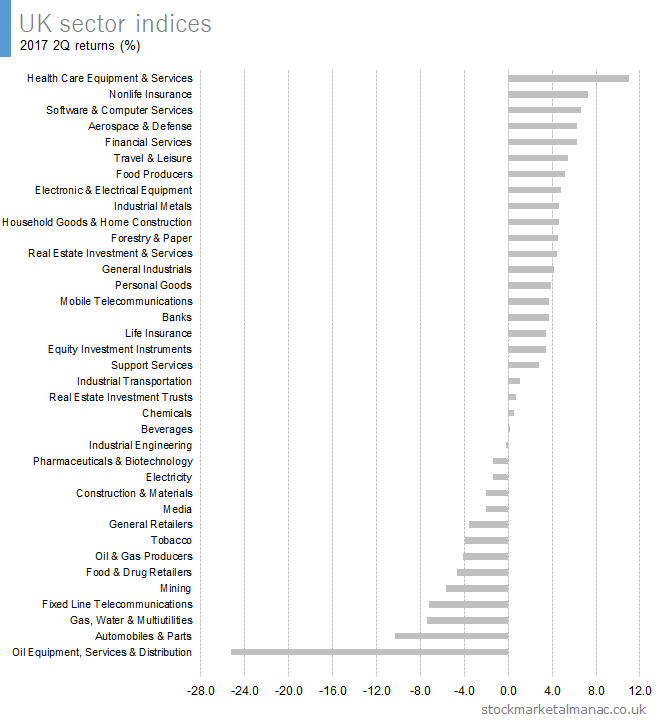 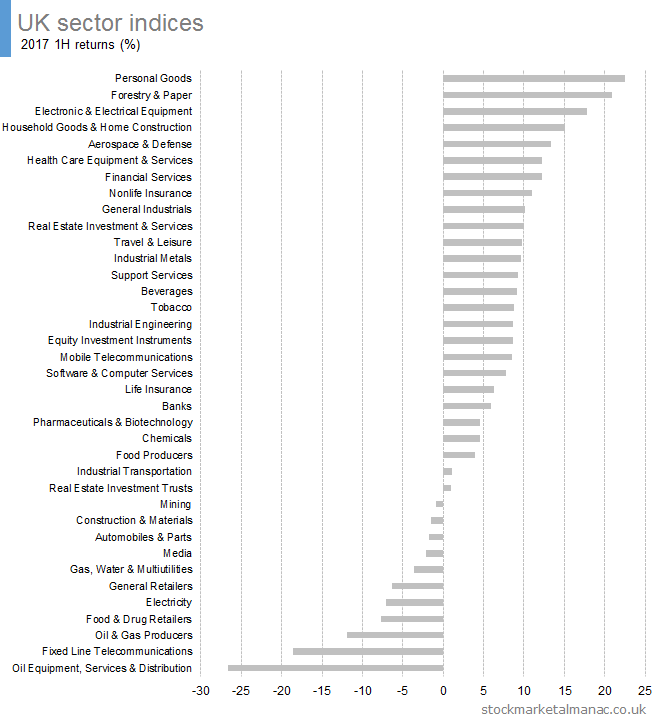 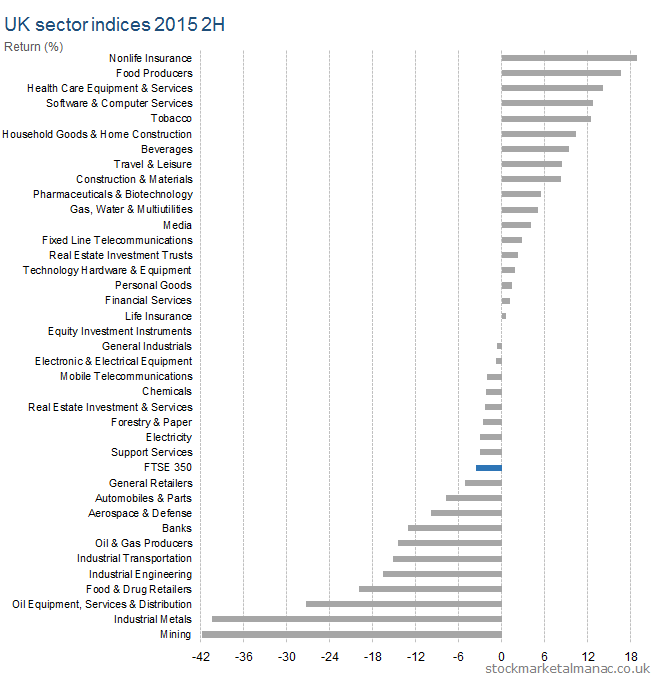 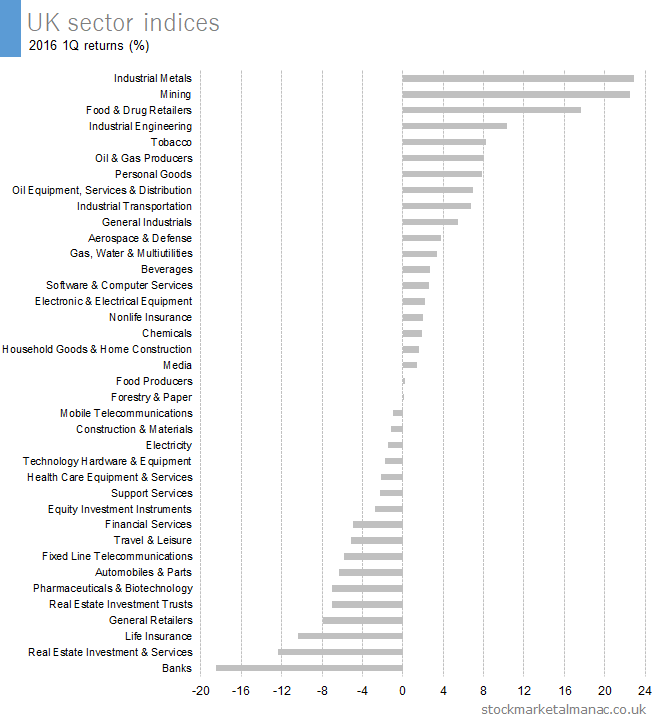 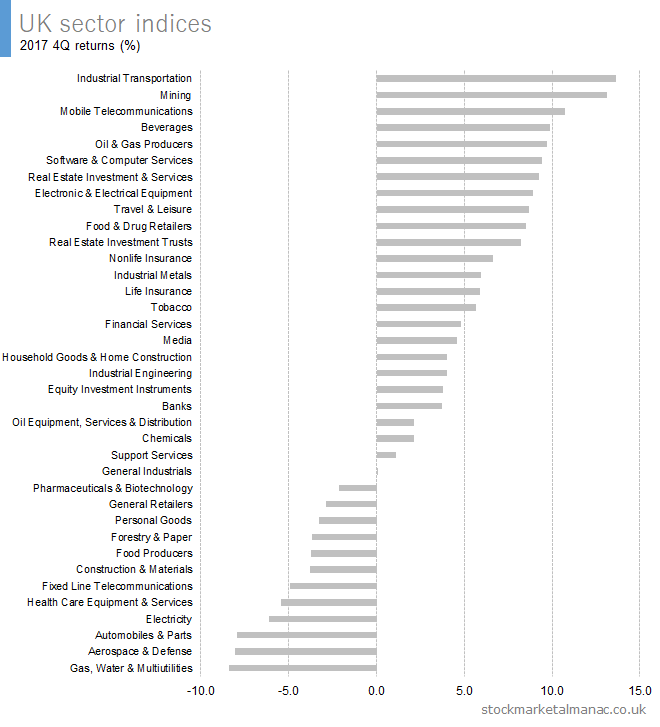 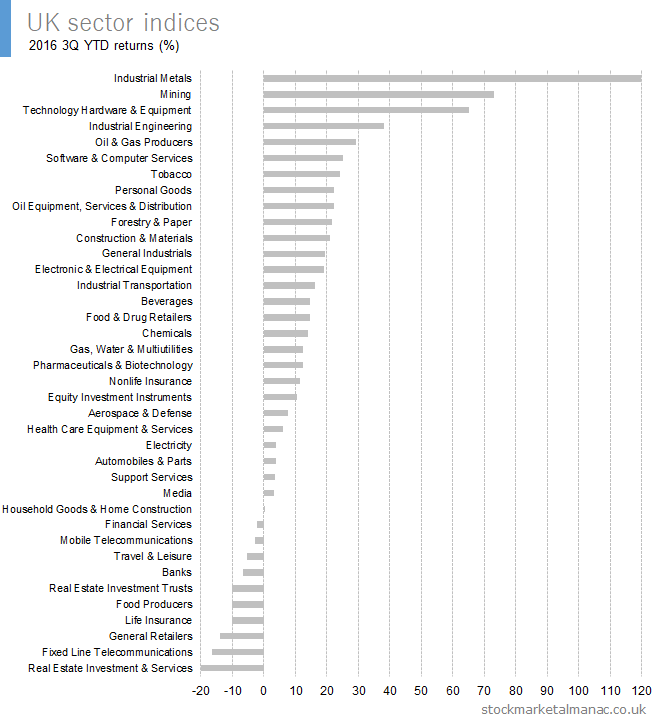 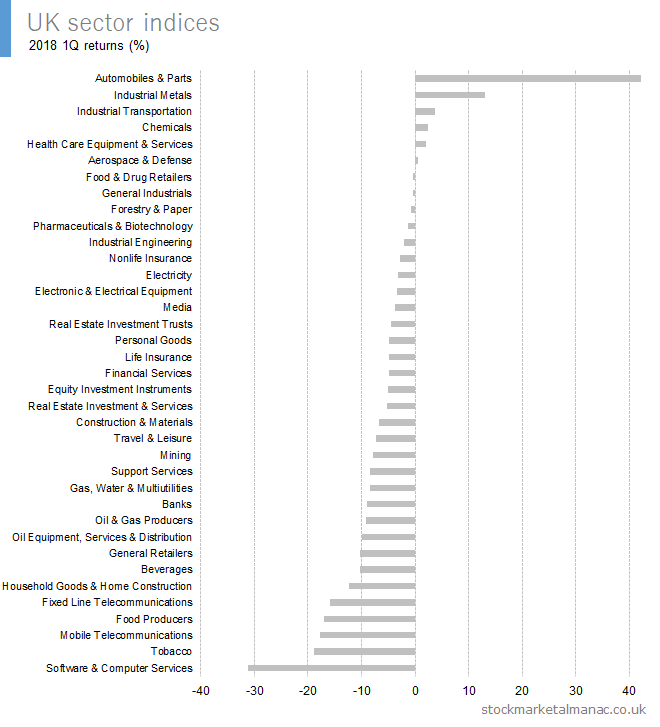 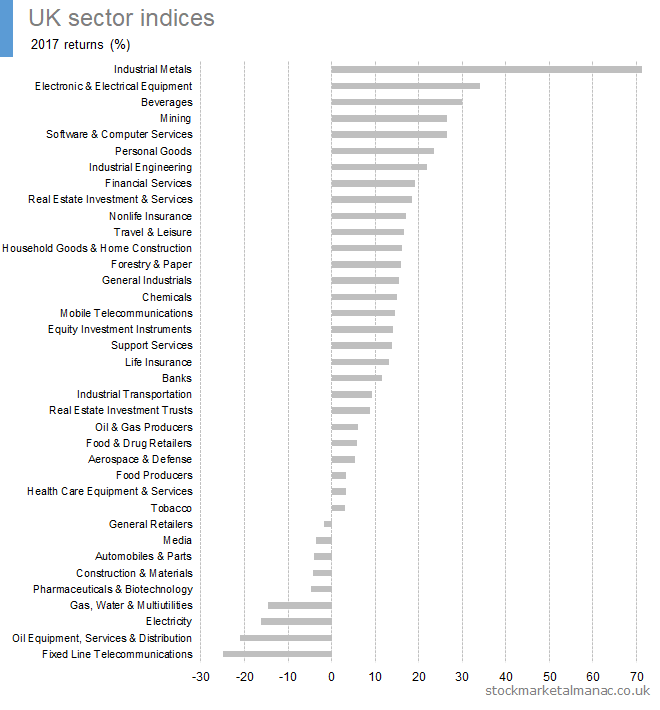 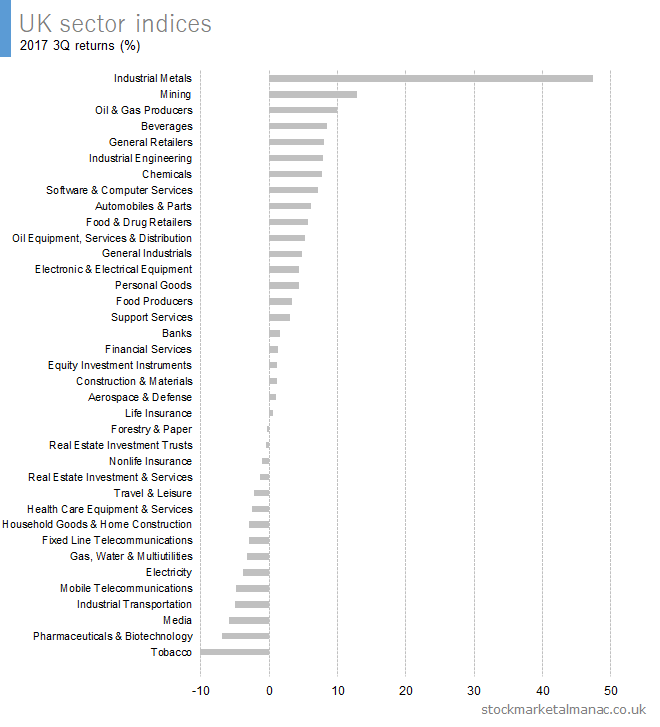 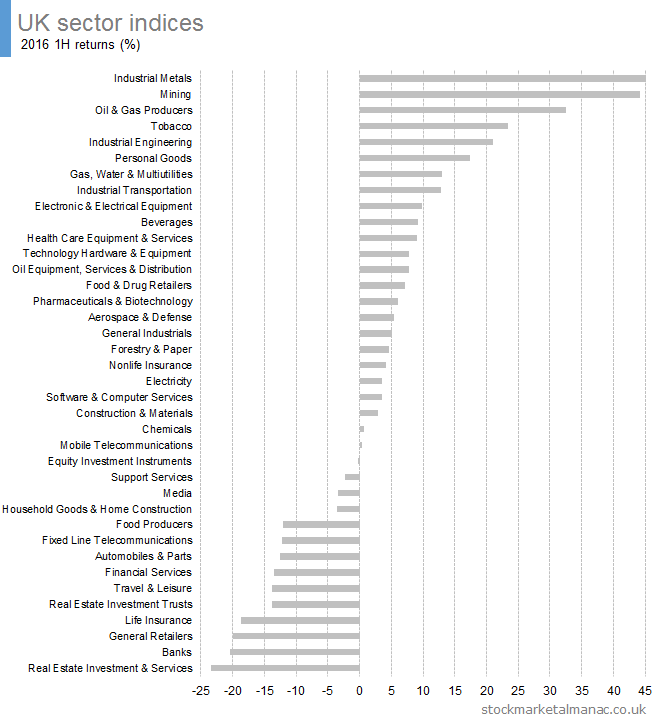 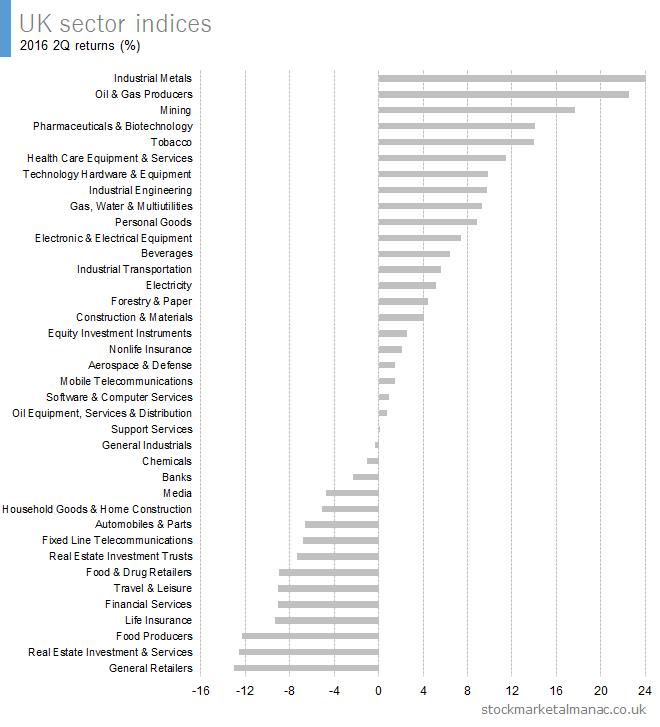 26 of the 38 sectors out-performed the FTSE 100 Index in the first quarter of 2014. 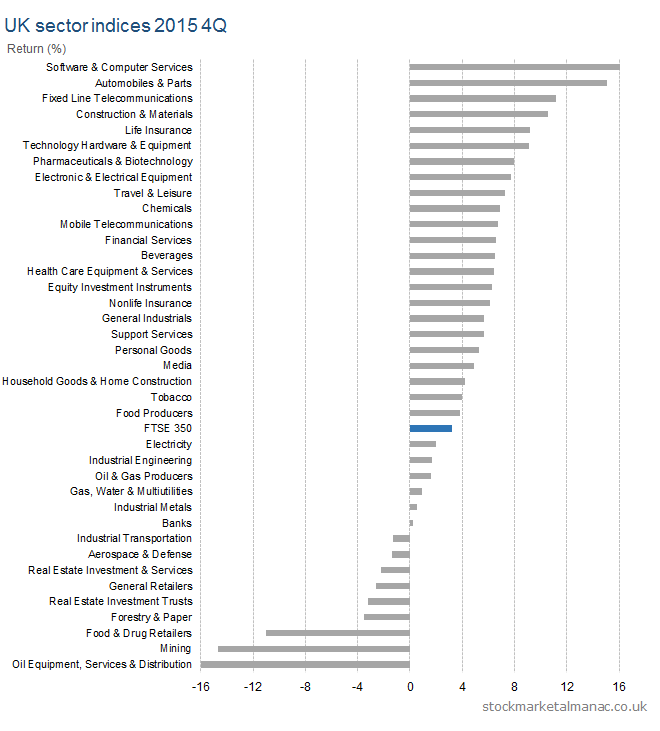 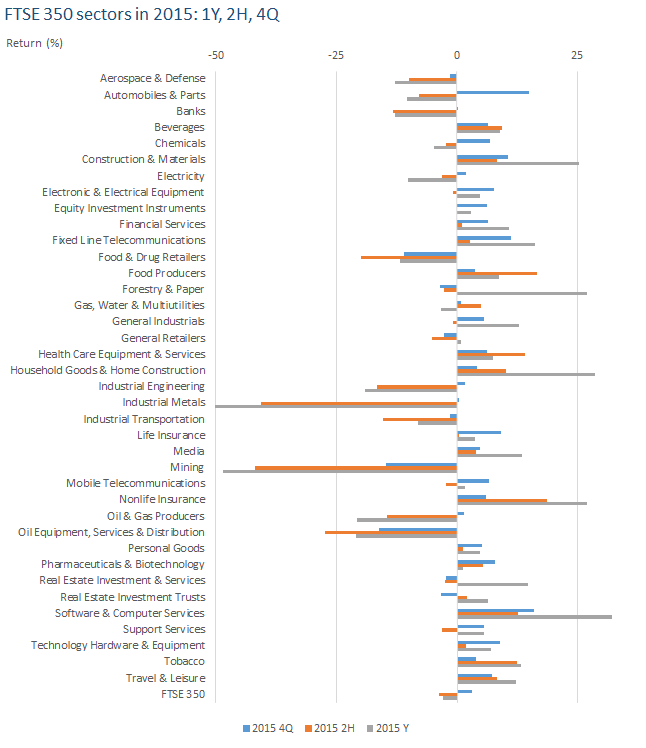 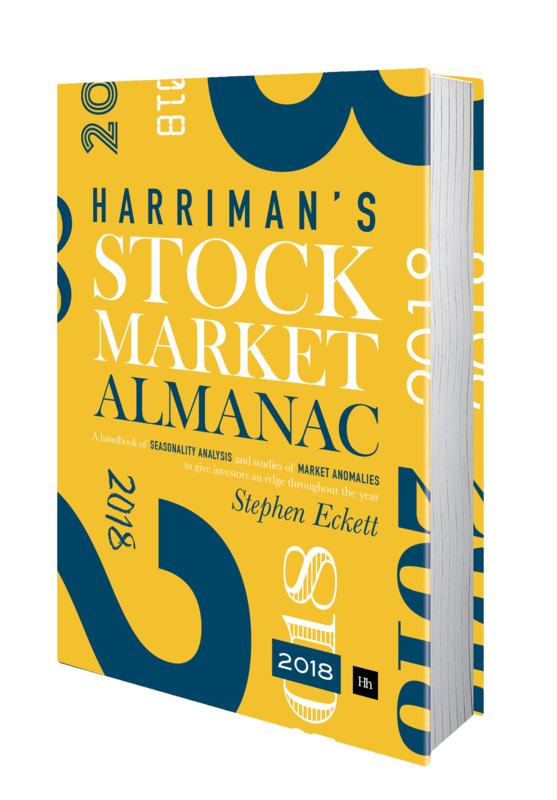 The data for the above chart are given in the following table.